It is crucial for the dynamics between Roderick Alleyn and everyone else in the novels that he is a gentleman. His brother holds the family title, and Alleyn was at Eton, Oxford, the Foreign Office, and served as an army officer in the First World War. Then, inexplicably for his class, he began in the police force as a beat constable in the East End of London. He is working in a traditionally ungentlemanly trade, crossing class boundaries in a way that Holmes and Watson never did. Other, more senior, policemen in the Alleyn novels are clearly also gentlemen, since offended gentry folk betray their ill-breeding by threatening to report Alleyn to these senior officers with whom they claim to be on close terms. Marsh is very interested in showing how class can be used to indicate moral worth, strength of character, simple good manners, and general dastardliness. As a New Zealander she was extremely well placed to observe how the English (the Irish, Scots and Welsh are not singled out for their criminal propensities) used social class in their lives. 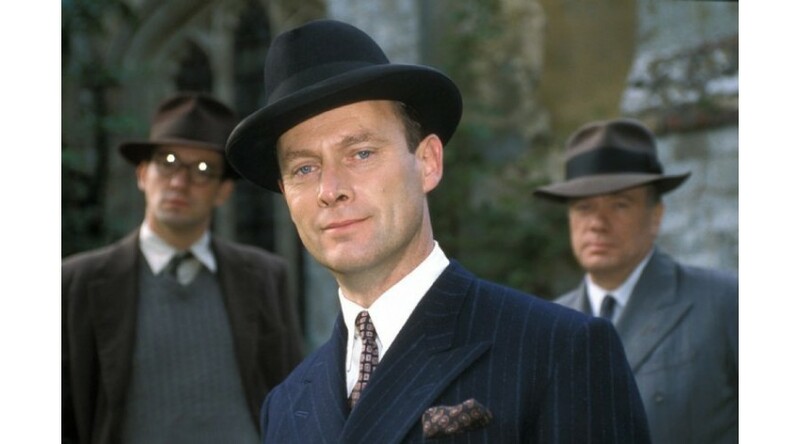 By placing Alleyn in an unusual cross-class role, the characters’ reactions to his challenge to class boundaries become a gauge of their common sense and human decency, and their own class allegiances. Marsh took a while to get the hang of constructing her plots. 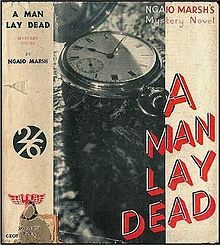 Her first novel, A Man Lay Dead (1934), has the technical flaw of hiding too much from the reader, with previously unknown facts being brought out of a hat like rabbits by Alleyn for his reconstruction of the murder. This will not do: the dissatisfaction we feel in being asked to praise rabbits we’d never known existed proves an important rule for satisfying detective fiction: the reader must be able to solve the crime themselves, and have all the relevant facts available. In Enter A Murderer (1935), the first of her theatrical novels (in her day job Marsh would become a distinguished theatre director in New Zealand), is a strong whodunit that respects the rules and simply hums with authenticity. Alleyn’s interest in a leading lady of the stage seems misplaced, since her mannerisms and effects are superficial. There is no integrity in her responses to him, so clearly she is No Good, even though she may be innocent. We are learning that Alleyn requires utter honesty in his relations with women, and though he might respond to forceful femininity, that just shows us what a masculine man he is. Marsh is keen to point out his asceticism, and his intellectual background. 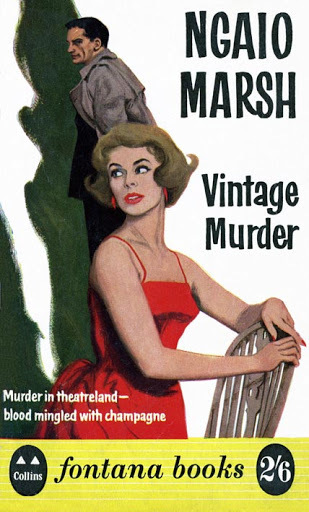 Vintage Murder (1937), in which Alleyn travels round the world to recover from an operation and finds himself solving a theatrical crime in New Zealand, is the novel in which Marsh really begins to write. It’s a novel of feeling and emotion rather an analytical whodunit to a recognised formula. For the first time Alleyn is written in the first person, and there is a proper setting of landscape and culture and language to which the characters respond and relate. New Zealand is also a subject of the plot. Marsh’s feelings about her own country when set beside England and the English are revealed by how Alleyn is respectful in his admiration for the landscape, and bewildered by the dialect. Marsh’s depiction of the Maori doctor Dr Te Pokiha is startlingly crude, for all that she intends him to be read as a gentleman, her highest accolade. ‘Savage’ is only one of the words used to describe him (this atavistic comparison returns some thirty years later in 1969 in A Clutch of Constables, in As Black As He’s Painted in 1974, and in Light Thickens, in 1982). Now that we have Alleyn the full man, so to speak, rather than the two-dimensional detective, he’s allowed to develop as a personality. In Artists in Crime (1938) Agatha Troy the celebrated artist and Academician (unusual but aspirational for the 1930s art scene in Britain) is a second narrative focaliser, the object of Alleyn’s helpless adoration, and the owner of the studio in which the artist’s model is most foully done to death. Tension rises, over whodunit, and will they or won’t they. It takes a second novel, Death In A White Tie (1938), mixing crime and passion to settle things between Alleyn and Troy. The novel reinforces Troy’s suitability for Alleyn since she is of the same social class, lives near his mother, and they have friends in common. The murder in Death In A White Tie is less violent than Marsh’s usual style (so far we’ve had two stabbings, one shooting, three poisons, and a blow to the head), but the most upsetting so far. This is because the victim is a focalising character, and we see his perspective for some time (Marsh does this again in Death At The Bar, in 1940), while he works for Alleyn to determine which of the high society ladies in the Season are being blackmailed and by whom. We come to like this nice little man, and so we feel completely convinced of the horror of the crime and Alleyn’s shock and distress on being presented with the body of his friend. The reader has to invest in Alleyn as the moral centre of these novels, otherwise the effects are lost. 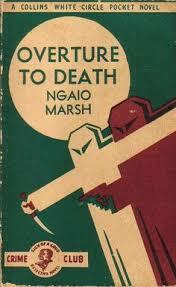 In the next novel, Overture to Death (1939), Alleyn arrives only in the second half of the novel to solve the crime of who shot the pianist, so we have already had a lot of exposure to the characters who may or may not have planted the gun. When Alleyn thinks that X is unpleasant or that Y is reliable, this is what we must believe, no matter what Marsh may have encouraged us to decide from our own observations. We can’t disagree with Alleyn, because he is the only moral arbiter in the novel. He is also now a celebrity within his own world, since he has written a standard text on policing, and is famous by his class position and his marriage. He is expected to be brilliant, which he knows and deplores, and neatly demonstrates in a delightful, self-deprecating performance of a perfect Holmes on his first appearance in the village, to the open-mouthed delight of the local police. It’s a shame to make such a distinction between the capabilities of country and city policemen, but it seems to have been a mark of the genre. Sayers did it all the time, Allingham too, and T H White guyed these expectations beautifully in Darkness at Pemberley in 1932. In Death at the Bar (1940) a fairly unpleasant character is murdered, so to reinforce the horror properly, to remind us that unexpected death is a crime, not waste disposal, Marsh nearly kills off one of her detectives, which is a bit of a shock. In both this novel and in Overture to Death, actors become part of the cast of suspects, which reopens opportunities for class arguments again, over whether a properly middle- or upper-class woman can also be an actress, whether an actor who never stops acting is ever trustworthy. We’re also seeing an increasingly dominant theme in the Alleyn novels that morality is based on public performance, either how one conducts oneself in public (which is where social class is used to trap the unskilled), or the art and profession of performing as an expression of a person’s moral values. In the Second World War, Alleyn – bizarrely – has been sent to New Zealand to track down traitors who are signalling to enemy submarines. In Colour Scheme (1943) he is in a transparent disguise, investigating a really unpleasant murder by immersion in boiling mud. In Died In The Wool (1945) (my favourite of Marsh’s tasteless punning titles) he’s tracking down the murderous Nazi sympathiser who’s after the plans for a secret weapon. Both novels are conversation pieces, where the characters and readers talk through and work out the solutions to the murders together, with Alleyn coming on rather late to reveal the truth. Died in the Wool is particularly effective for how Marsh uses her murder plot to work out ideas about New Zealand class-consciousness and political idealism, set in a mountain sheep farm. I think Marsh must have had an immersion into nightclub society at this time in her life, as she produces some louche background characters in Final Curtain (1947), and for the events in Swing, Brother, Swing (1949). Class is all over the shop in both novels, too, because the main objections to two characters marrying are their totally different class and cultural backgrounds, and so, of course, it cannot be allowed to happen. 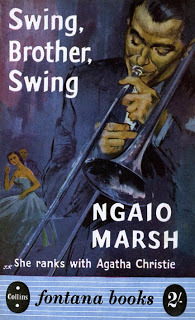 Performance is still strong as a setting, though Marsh’s distaste for 1950s boogie-woogie is very apparent: obviously nothing good will come of such a racket. Opening Night (1951) is a stunningly good thriller, the kind that you are compelled to read to the end without stopping, your teeth chattering with its tension. Helena Hamilton, another magnificent leading lady of the stage, dominates the moral temperature of the novel. She has to tolerate a drunken husband, so consoles herself with serial love affairs: the murder takes place just as she is about to end one and begin another. She has two foils: the modest and determinedly obscure ingénue understudy who takes on the leading role with half an hour to spare, and the melodramatic upstagey chorus girl who should never have been cast in the first place, but she will milk all the drama out of the situation for her personal gain. This novel presents performance as a moral indicator again, with Alleyn reinforcing the values that Marsh wants the reader to observe: class-based, as ever. Spinsters in Jeopardy (1953) takes us back to the drug-addled faux-religious milieu of Death in Ecstacy (1936), in a tremendous thriller made powerfully urgent by the introduction of the Alleyns’ small son. Marsh simply piles on the obstacles in this novel – Troy being unable to speak French, cars driving fast around winding roads to reach fortified castles, spotting the kidnap victim across the rooftops in a crowded hilltop town – so the detection rather takes second place to an almost Bond-like feel to the plot. In fact, we see Alleyn having his first bout of fisticuffs, and winning. Since he is chronologically in his 60s, at least, in this novel, we should tactfully assume that Marsh has allowed him to remain at 40ish for a decade or two, and Troy must be in her mid-30s. Off With His Head (1956) feels like an hommage to early Margery Allingham from the 1920s, with its plot about an unexplained folk dance of such extreme ritual significance that the mythic murder it enacts actually happens. One of the characters even has Campion as a surname, and the village is dominated by an imperious county lady: it’s all very Pontisbright. Modern characters are allowed in, as are garages and betting shops, so the effect is a curiously time-slipping mixture, grounded by the ancient rituals of the dance at midwinter. And once again, moral values are purified and tested by the act of performance, this time in public view in the dance. False Scent (1960) takes us back to glamorous London theatreland, and a spectacularly effective theatrical party with artistic and business temperaments at full blast. The ingénue actress appears at a party looking like Audrey Hepburn, and is, naturally, a social success, to the ruling leading lady Mary Bellamy’s furious displeasure. Her histrionics are made unforgettably effective because the reader doesn’t hear them: our imaginations fill in the truly awful things she says and does, a very economic way to suggest the depths no-one should ever go to. Hidden performances are suggested by the glimpses of Mary’s shocking behaviour and (again) theatrical excesses. Death at the Dolphin (1967) is similarly packed with truly unpleasant people. This novel of the revival of an abandoned London theatre is one of Marsh’s great classics, a really clever and emotional hommage to acting and producing, something on which she was now an authority. She had used a travesty of performance in Dead Water (1963) to very gruesome effect: in Death at the Dolphin the characters’ performances all contribute to the unravelling of the clues. Nobody isn’t acting, at all. It’s the same with A Clutch of Constables (1969): almost no-one isn’t playing a role. Troy takes the unexpectedly cancelled cabin in a Broads riverboat cruise, without realising that its occupant had also died unexpectedly. Out of a crew of three and six passengers, two are murdered and several could be the murderers. Alleyn is performing in this novel, far away in time and space as he lectures on this case to eager constables at the Police College. This is a truly innovative way of telling the story, by holding up the reading to keep the tension at peak while he explains the back story to this or that point of deduction. It’s another thriller with detection introduced on the side. When In Rome (1970) and As Black As He’s Painted (1974) are fascinating as period pieces depicting the end of the swinging sixties and the funky seventies. There is no more pretence that Alleyn is ageing: he is now permanently in his early forties and speaking the slang of his day. Drugs are the main concern in Rome, and post-colonial birth pangs in Kensington. Marsh tackles casual ex-colonial racism as best she can, since Alleyn is most emphatically not a racist, unlike the cabal of villains, but he and other sympathetic characters says things that are still eyebrow-raisingly Not On by our standards now. 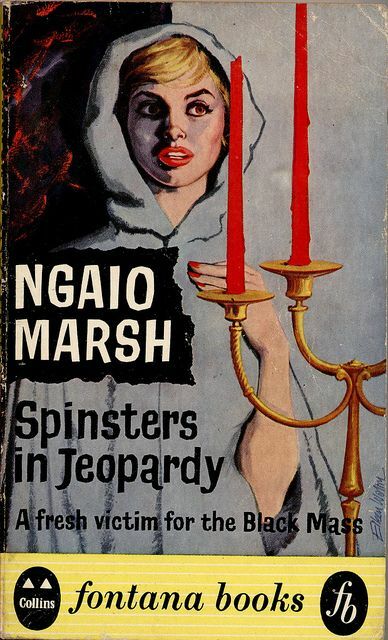 Marsh was now in her eighties, she wrote as she had always done, and – as we’ve already seen with her Maori characters – if you weren’t white, you were definitely Other, no matter how noble and distinguished you might be otherwise. 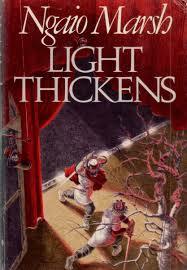 In Light Thickens (1982) Marsh is almost completely back on form, if we read this novel as being set in the 1960s, not twenty years later. It’s her last novel, another great evocation of the working theatre and the transformative power of Shakespeare. The excellent emotional triangle of a leading lady and two leading men is subverted by the lady refusing to have anything to do with a love affair with either man, but focusing on her roles instead, a true professional. Marsh enjoys herself by delivering cutting things about the Equity representative who degrades his talents with unprofessional sabotage, and wasting police time. No stronger message could be sent about the responsibilities of the performer. It’s invidious to compare Marsh to Christie or Sayers or Allingham: all four are tremendous Queens of Crime, supported by the slightly less prolific Josephine Tey. Personally, I find Christie’s novels too short and simplistic, and if I had to admit to finding a flaw in Dorothy L Sayers’ novels, I do get bogged down in the endless literary references, never mind the extensive extracts in French. Of the remaining three, I love Tey’s work for the way each novel she writes is a standalone work, no others need be read. I love Allingham for her spectacular cleverness in evoking eccentricity and unique characters, and for inventing parts of London and Essex that ought to exist. 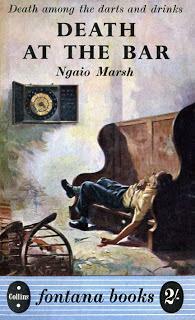 But I love Marsh’s novels for simple reading pleasure. She wrote no duds, every novel is rereadable and engrossing, and her standards of writing and plotting never stumble. She was a great writer of character and setting, which I think I enjoy reading more than whodunit plot. I really don’t mind who saw the footprint or left the dagger in the library, but I revel in how her characters react to these discoveries, because in each novel they inhabit a perfectly formed world. Oooh, interesting question! I enjoy reading Heyer’s detective novels because they’re by Heyer, and they’re an excellent reflection of the society of her day. I like the way she handles present-day upper-class Cinderella romance as well. But I find them a bit dull as detective novels, too formulaic. I’ve only read a couple of Gladys Mitchells and cannot get into them at all. I like the premise of the imposing woman psychologist detective, and the settings are unusual and interesting, but I don’t find GM as engaging a novelist as the other Qs of C. She doesn’t draw me in. 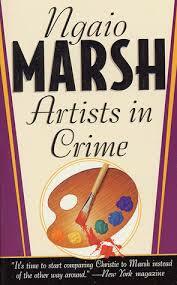 I found Artists in Crime being shown on the Drama channel last night, and now reading this as well has really made me want to re read Marsh. I didn’t particularly like her later books the first time I read them – as with Sayers I felt that she was a little bit to much in love with her detective and it became a distraction. I agree, she is definitely involved with Alleyn, to the extent of giving him an artist wife (NM was a painter too), but its easy to push Alleyn into the background because of the whodunitness and police procedural nature of the stories, I think. He doesn’t intrude his angst and personal dramas as much as Wimsey does. Thanks for your great article! 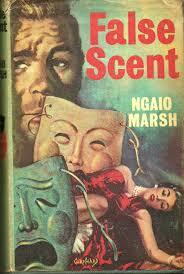 I have all Ngaio Marsh’s books (except When in Rome, simply because it’s never been available in bookshops). Your thoughts give an interesting angle on and insight into Marsh and her characters. The only points about the books that I’m definitely not happy with are (1) she is far too fond of matchmaking between some very unlikely characters (not Alleyn + Troy, I might add, whose union is sensibly and credibly described). In Death and the Dancing Footman, two characters decide to get married after only a couple of days in each other’s company. Marsh’s descriptions of all these unnecessary romances is far from convincing and I personally find them exceedingly laborious and tedious. She should stay off romance: she’s no good at it. And (2) the young female characters in almost every book are truly appalling. Most of them can only be (charitably) described as extremely silly and incomprehensibly naive (look at Decima Moore in Death at the Bar. What on earth would an Oxford graduate be doing in a Cornish village? Wouldn’t she be carving out a career up-country somewhere?) The sole exception being Robin Grey in A Surfeit of Lampreys. Now she was perfectly credible and likeable. What are your views on this? I think you have to take the period Marsh was writing in into account. Also, that her publishers and public required a certain model of detective novel, and deviations from this were not received well, and might not sell well.